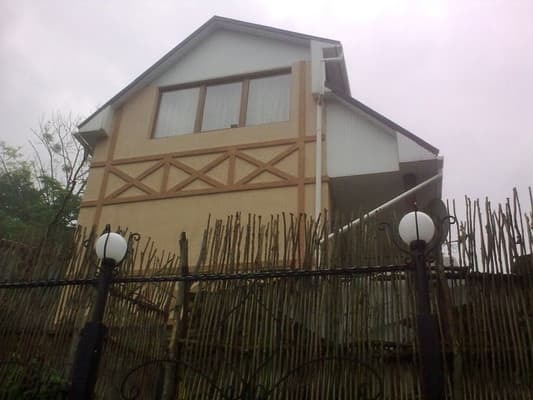 The private estate "U Tsymbora" is located in a picturesque corner of Transcarpathia (in the village of Sinyak), 150 m from the sanatorium "Sinyak". 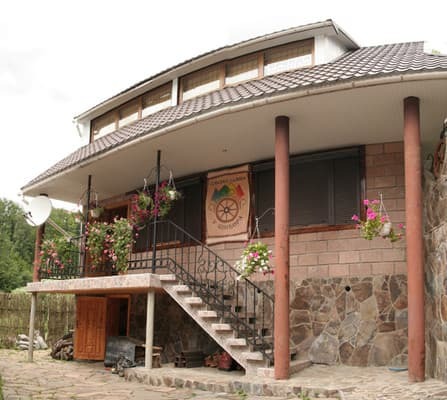 The private estate "U Tsimbor" is decorated in the Transcarpathian style and is a two-storey three-room house with all amenities. At the same time in the house can accommodate from 6 to 8 people. At guests' disposal is an equipped kitchen with a full set of dishes and appliances. 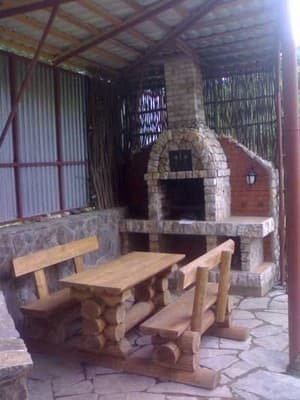 For comfortable accommodation, guests are offered a fireplace, satellite TV, stereo system and DVD. 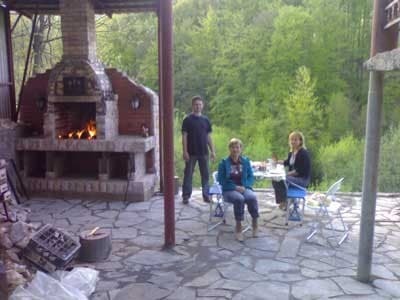 On the territory of a private estate there is a brazier, an altanka for relaxation, a Russian bath. 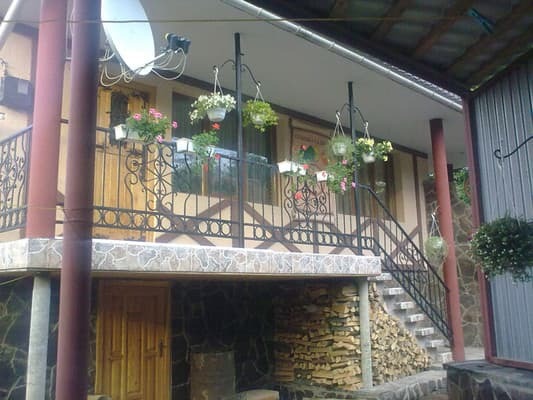 The owners of the guest house can also organize excursions around the Transcarpathia, hiking in the forest to collect mushrooms and berries for an additional fee. From Mukachev to the village. The bruise is 12 km away. ATTENTION! The cost of the cottage can vary depending on the number of residents! 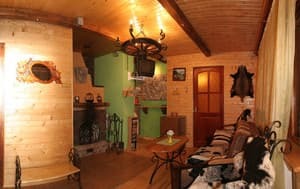 Description of the room: The spacious cottage is decorated in the Transcarpathian style. On the 1st floor of the manor (ground floor) is a kitchen for self-cooking, a bathroom and a rest room. On the 2nd floor of the estate there are 3 living rooms and a bathroom. Children under 3 years old stay free of charge. The cost of additional space is 150 UAH. The private manor house has a fully equipped kitchen for self-cooking. Private estate "U Tsymbora" is located in a picturesque corner of Transcarpathia, 150 meters from the sanatorium "Sinyak". The private estate "U Tsimbor" is located 12 km from Mukacheve. From the bus station to a private estate you can get there by taxi "Mukachevo-Synyak" (time on the road 30 minutes).